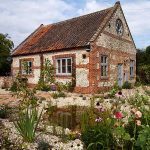 The garden was created to provide a space to relax for guests staying in this former Methodist Chapel now serving as a luxury four-star holiday accommodation. 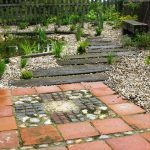 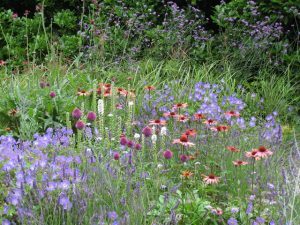 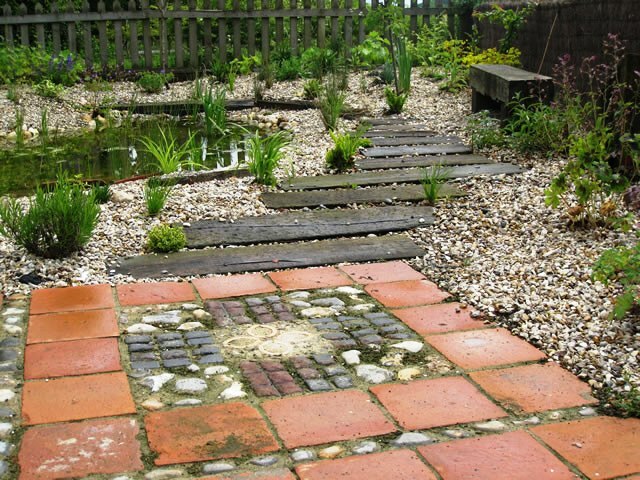 A railway sleeper path leads to the wildlife pond which is surrounded by low maintenance gravel planting. 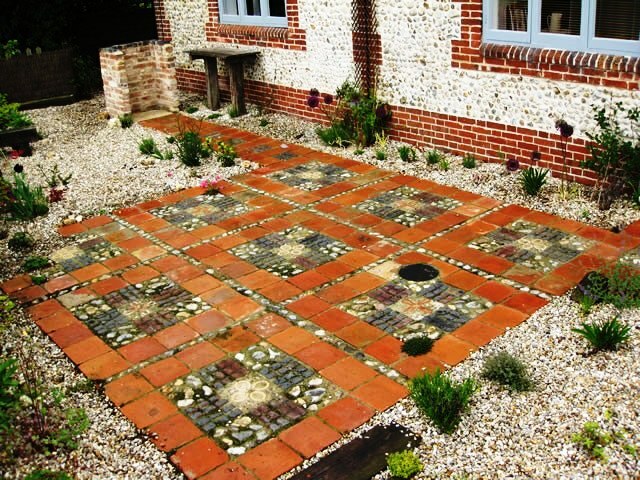 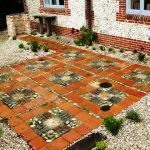 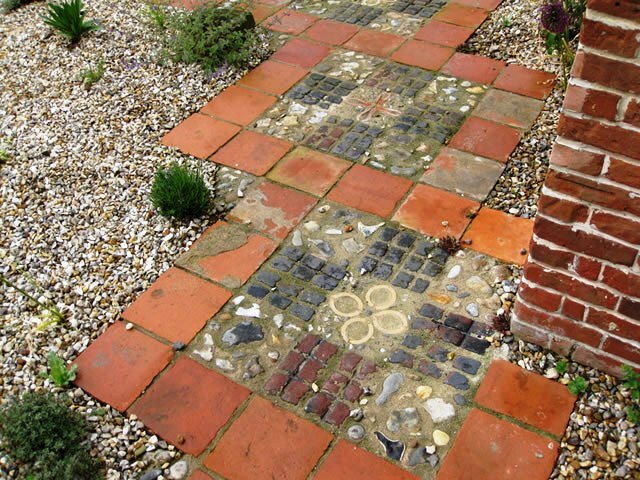 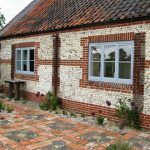 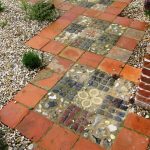 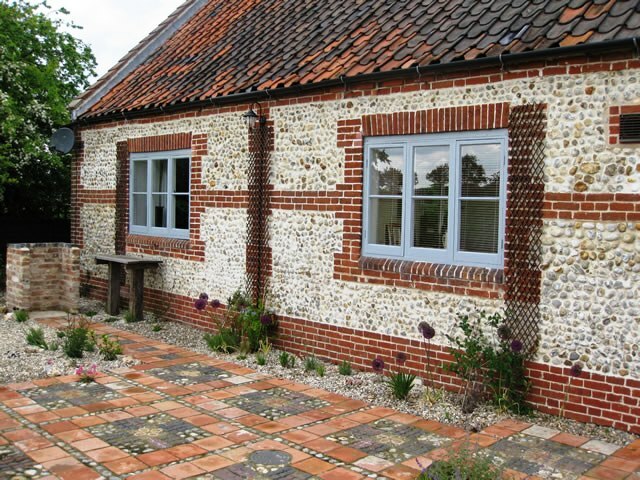 The patio comprises reclaimed paments and stable bricks from a nearby barn, along with flint cobbles which were dug up in the course of the build. 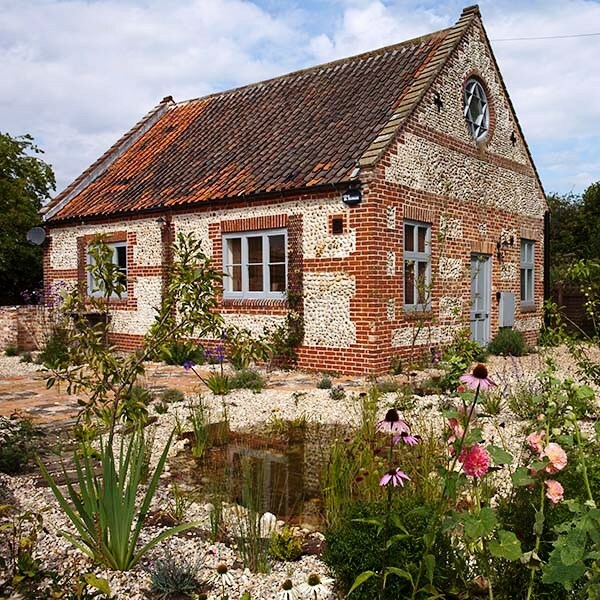 The materials used perfectly complement the 19th-century brick and flint building and its idyllic rural surroundings.